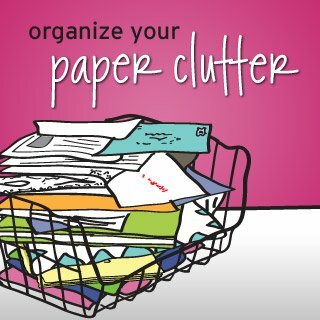 If you have paper clutter, then stress, tension and worry are a part of your daily life. It’s hard to relax when you have a nagging feeling that something important is being neglected… somewhere in your piles of paper. There is a better way! Solve your paper organizing challenges once and for all with this self-paced online class. Solve your paper organizing challenges once and for all with this self-paced, online class. Your piles (and your stress) will be replaced by organizing systems that work for you, along with feelings of confidence, relief and peace of mind. Best yet, because this class is on-demand, you can start today! Understand the root cause of your paper clutter—and what to do about it. This class shows you real world solutions that are easy to set up and use. Set up customized systems that work for you and how you naturally do things. If you’re a piler this class won’t try to turn you into a filer. Instead, you’ll create systems that work with your natural tendencies, and fit into your home. Find the best ways to organize paperwork at home, so you can find it again right when you need it. Find out exactly where to start organizing your paper, and get a step-by-step plan to navigate your way through your entire paper backlog. The process is bite-size and focused, so you won’t get overwhelmed. Deal with your most important paper first. You’ll quickly say goodbye to sleepless nights spent worrying about misplaced bills and other documents that have gone missing in the stacks. 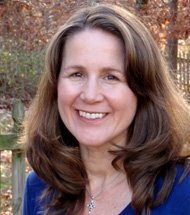 Find out how to make your systems continue to work for you going forward. 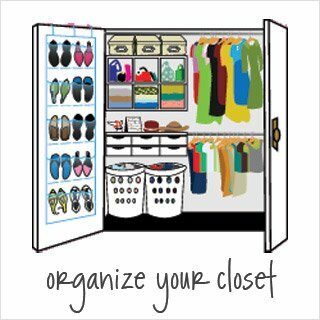 This is a simple, but often overlooked step in the organizing process that will help ensure your efforts in this class continue to pay dividends (in the form of clutter-free surfaces) going forward. Organize your paper on your time schedule…in small blocks of time. The self-paced format and bite-sized lesson content makes it easy, so it’s perfect if you have a busy schedule! 126 pages / 6 lessons of easy-to-implement content. Includes reading materials, questionnaires, checklists and planning forms delivered as colorful, printable, and editable pdfs. You can add notes to your handouts electronically and create a customized action plan without adding to your paper clutter. Over one hour of video by Aby Garvey which shows key organizing concepts and share additional insight. Videos are broken into short segments for easy viewing. Clear-cut action steps so you can create results quickly. Materials format: Written (PDF and/or online webpages), video (complements written lessons), and audio (MP3s). All materials are downloadable. Use the format(s) that work best for you! I was drowning in paper before taking this class (Paper Clutter). I read book after book, set up system after system and failed to maintain them each time…Aby’s system is by far the best out there. She takes you step by step through figuring out how to organize your paper FOR YOU. 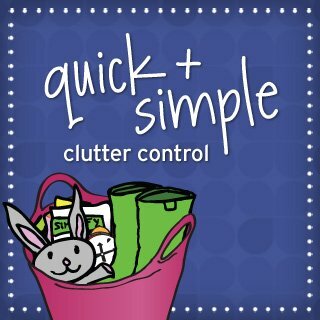 The Paper Clutter class has made a huge difference in my life, and I think it has saved me much more money than the course cost… Having the process so nicely broken down into weekly lessons and assignments kept it from being overwhelming, and the daily check-in really helped my new habits to gel. This class was truly life changing for me. Paper no longer brings me anxiety nor do I dread it. I have systems in place and have developed lifelong habits for handling my paper. I highly recommend this class. You’ll begin by understanding your current paper situation and get a handy tool to help you pinpoint exactly where all your paperwork is coming from. Next, you’ll take steps to slow down the flow of paper into your home to ensure ongoing success in keeping paper clutter at bay. This step alone will dramatically reduce the amount of time you spend dealing with paper going forward and give you instant feelings of relief. Learn a simple decision-making process to help you easily sort through all of the paper in your home – from the daily mail to your paper backlog. You’ll no longer feel confused or frustrated because you aren’t sure which paper to keep and which to pitch. Plus, you’ll begin managing your daily inflow of paper and digging out of backlog with ease and confidence. 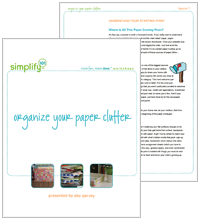 Learn about storage solutions available for storing and organizing paper. You’ll learn how to choose the best solutions—those that will work for you and how you naturally do things, so you can stop wasting money on storage solutions that don’t work for you! You’ll also set up your collection and action systems so that you no longer misplace important papers, creating an immediate sense of control. The focus of this lesson is on reference paper—paper you want or need to refer to regularly. You’ll learn how to set up a household reference binder and continue to tackle your paper backlog. You’ll get simple ways to organize your most troubling papers such as recipes, receipts and magazine clippings. This lesson focuses on your archive paper—paper you want or need to hold onto for longer periods of time, but don’t need to access regularly. You’ll learn how to set up your archive systems and get strategies for handling school papers and kids artwork so you can save the precious memories without having your kids’ paper take over your home. Bonus #1: Creative + Fun Ideas for Paper Storage. 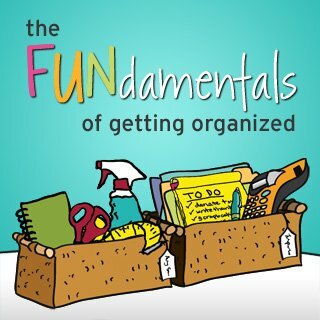 Find out how to transform your paper organizing solutions from simply functional to supremely fabulous. Includes budget-stretching ideas like step-by-step instructions for creating stylish file folders for a fraction of the cost of store bought folders. Bonus #2: Organize Your Paper Clutter at Work. Discover how to apply proven and effective paper organizing principles to your paperwork at work. Eliminate paper clutter at the office and get your work done efficiently.